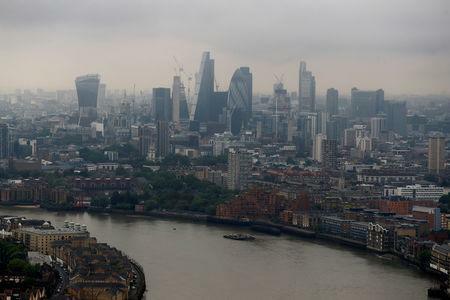 LONDON (Reuters) - Britain's financial sector brushed off Brexit uncertainty in 2017 to attract more inward investment than eight rival centres vying for its business, the City of London Corporation said on Wednesday. The body that governs the capital's historic "Square Mile" financial district said in a report that London secured 55 inbound foreign direct investment (FDI) projects in financial services last year, compared with 26 each for Dublin and Paris, 24 in Frankfurt, and 20 in New York. Britain's planned departure from the European Union next March has prompted banks, insurers and asset managers that use London as a gateway to the EU market to open new EU hubs in Paris, Frankfurt, Dublin, Luxembourg and Amsterdam. "The UK leads the world when it comes to exporting financial services and we have a number of strengths that appeal to investors," said Catherine McGuinness, City of London policy chair. “We cannot, however, afford to take this position for granted. Foreign investment flows can shift quickly so it is vital that we secure a positive Brexit deal that provides confidence and clarity for the sector." The EU is the biggest export market for Britain's financial services sector, and so far there is no clarity on the country's future trading relations with the bloc. 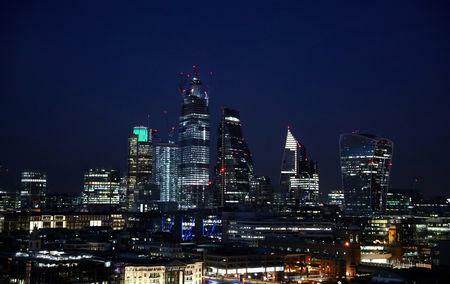 Financial services attracted more than double the FDI of any other sector in Britain in 2016, the City's report said. Last month, New York overtook London as the world's most attractive financial centre, according to the latest Z/Yen global financial centres index. So far the tally of financial jobs that have moved from London to new EU "Brexit" hubs has been far lower than initial forecasts after Britain voted in 2016 to leave the bloc.